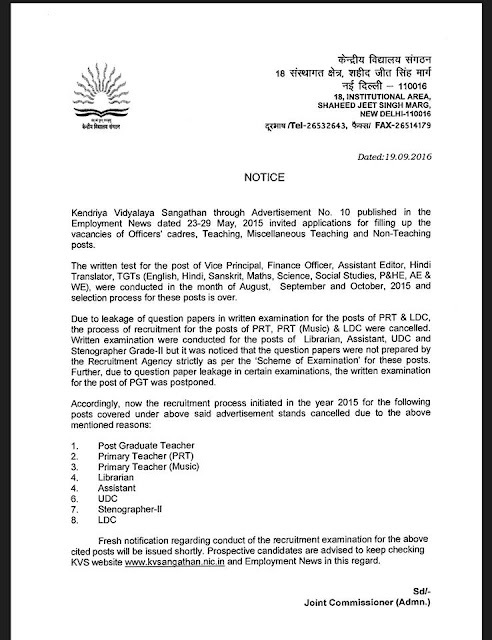 Kendriya Vidyalaya Sanaghathan (KVS) Cancelled PGT,PRT,LDC,UDC, Assistant & Stenographer Recruitment 2015. Which Notification Was Published On 23-29 May 2015. Now KVS Cancelled it. New Notification Already Out. 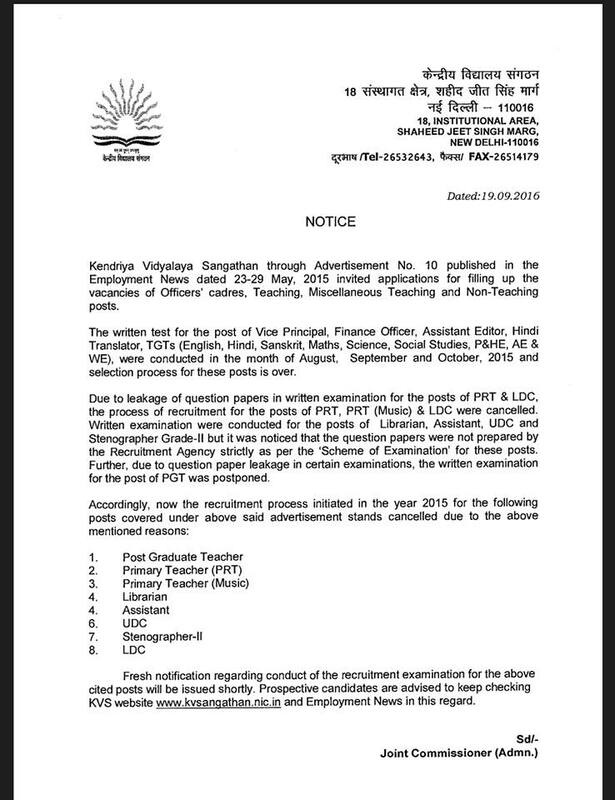 Due to Leakage Of Question Paper KVS Cancelled Bellow Post Recruitment 2015.